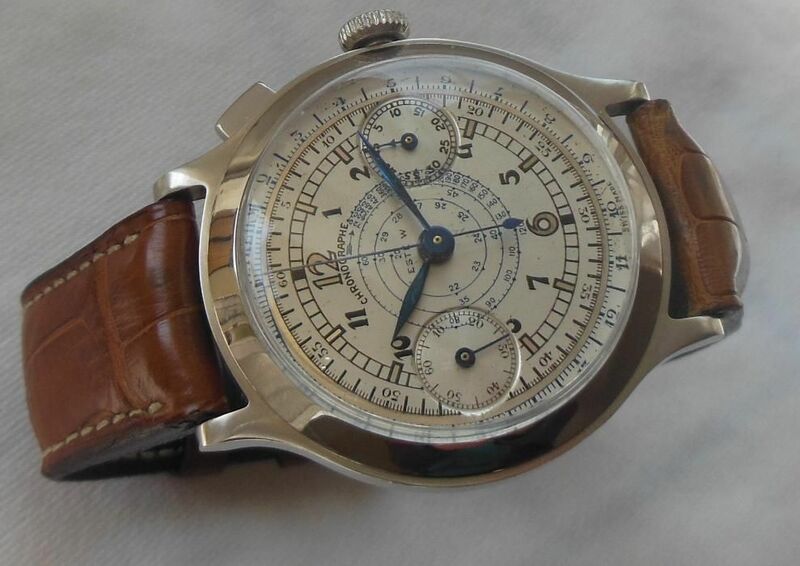 Offering an ESTE W monopusher chronograph housing an early Landeron Hahn pillar wheel movement (15.5 lignes) from the 1930's. 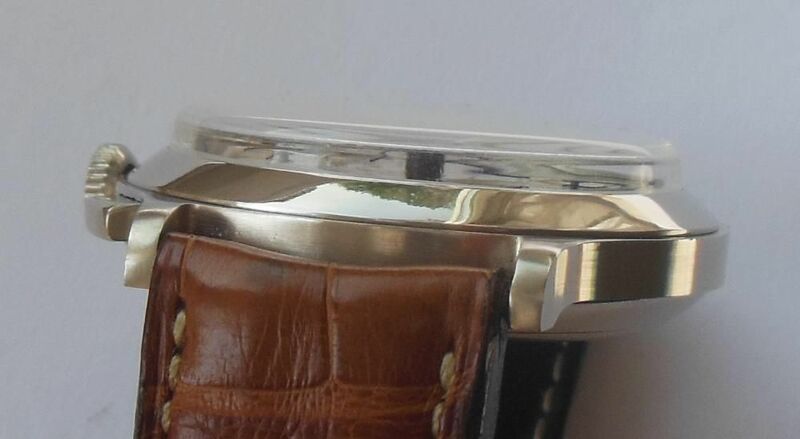 The SOLID nickel case measures 40mm (without the crown). This case has been refinished and re-chromed. 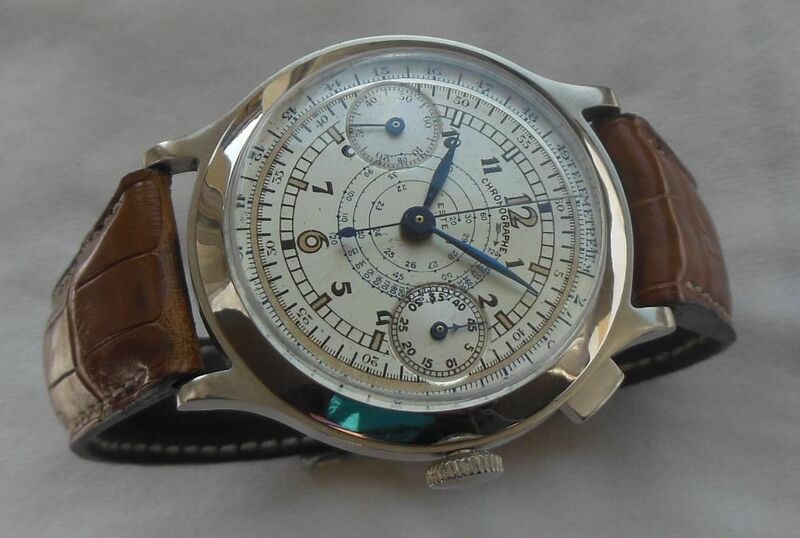 The original dial features an outer telemeter track and an inner spiral track. 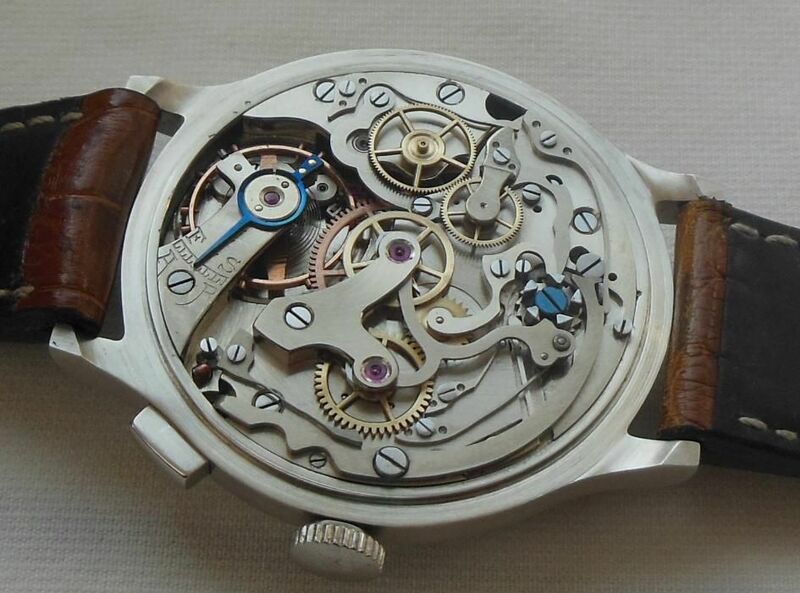 Breguet hands have been re-blued using the traditional heating method. 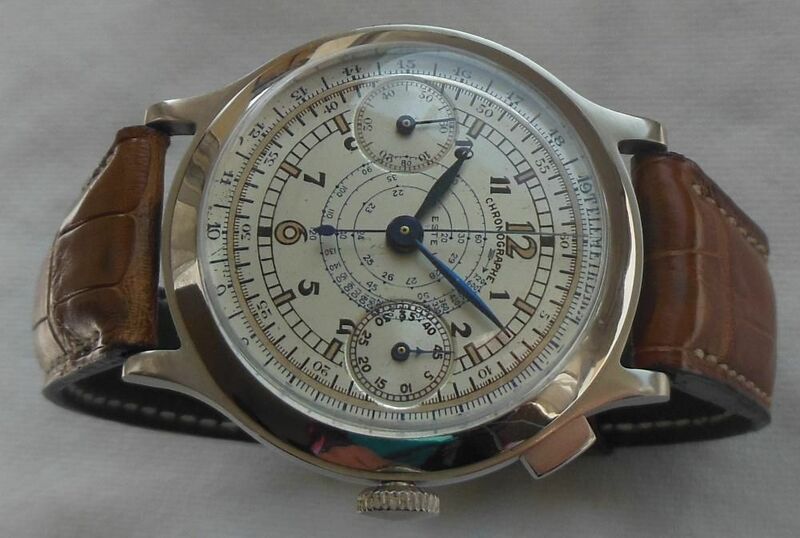 The complicated Landeron Hahn mechanical movement has been fully serviced. 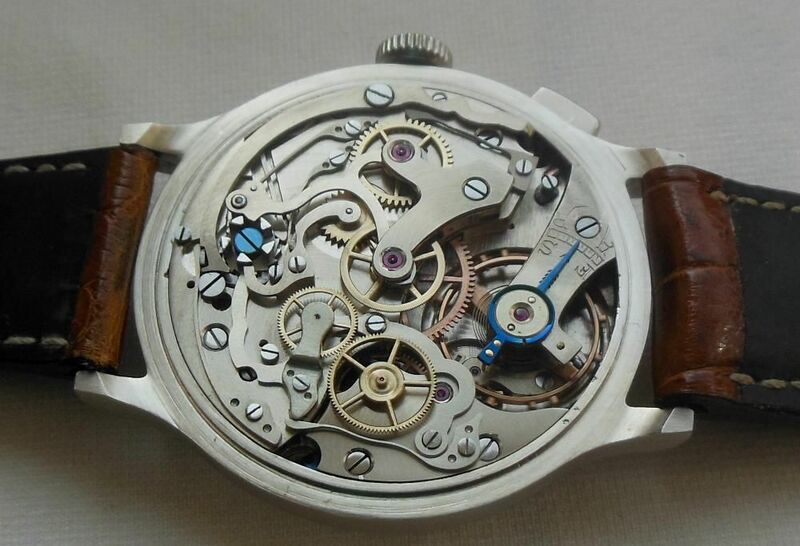 The mechanism was completely disassembled, all parts cleaned and inspected for wear and tear. The mechanism was then reassembled, oiled, greased and calibrated. ALL chrono functions work correctly and watch keeps excellent time. Located in the EU. 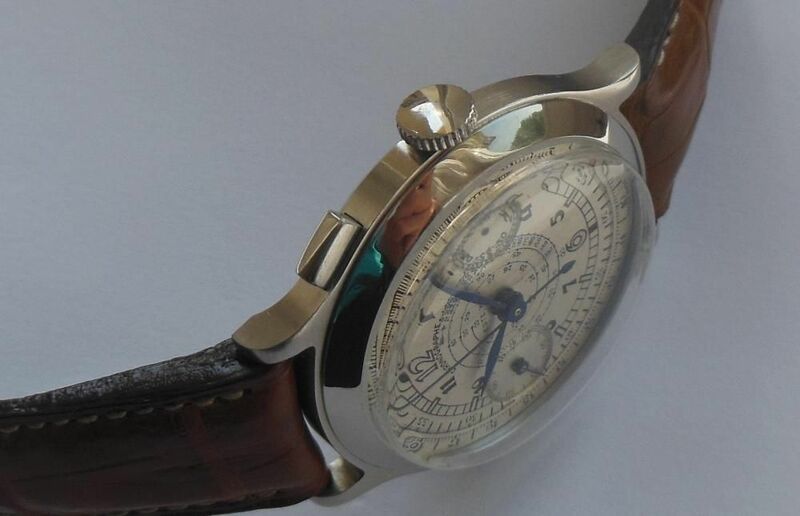 PRICED TO SELL at 850Euros (or equivalent in USD).